Al Jazeera America's employees didn't see it coming. They thought they had more time. The cable news channel was always a gamble. Everyone knew that -- the anchors, the producers, the engineers. And in retrospect, the channel was probably doomed from the get-go. But the business plan called for seven to ten years of huge subsidies before reaching the "crossover point" of profitability, according to senior executives. So no one expected Qatar to give up after only three years. They were blindsided by last week's announcement that the channel is shutting down. What happened? Why now? One: "We all knew this was a risk"
AJAM had some newfound pep in its step at the start of the New Year. Bureaus were getting new broadcasting equipment. New producers and writers were coming aboard. And recruiters were seeking applicants for other openings. "There wasn't really any hint that this was coming," meteorologist Nicole Mitchell said. The prior year had been tough — the channel's founding CEO had been ousted and ex-employees had filed explosive lawsuits — but morale was on the mend. "Turned a corner," staffers repeatedly said in interviews for this story. "We'd turned a corner." The newsroom had turned a corner, but the business had not. Costly mistakes made at launch in 2013 were adding up fast while ratings were not growing fast enough. The channel's distributors were dissatisfied. And falling oil prices were testing the patience of Al Jazeera's parent, the oil-rich emirate of Qatar. Al Jazeera Media Network director general Mostefa Souag had to reduce costs in a serious way. Souag singled out AJAM. Doha — that's the way the channel's employees refer to its owner, by naming Qatar's capital city — "decided that it was not going to continue to write checks for hundreds of millions of dollars," a senior executive said. The decision was handed down to AJAM's board of directors meeting shortly after the New Year's holiday. The directors gathered for an emergency meeting on Monday, January 11; some huddled at an attorney's office in Manhattan while others, like Souag, joined via video conference from Doha. The last time they'd met, in late August, the directors heard an optimistic pitch from new AJAM CEO Al Anstey about the channel's next five years. This time Anstey spoke briefly, then left the meeting. The channel's president Kate O'Brian, who usually spoke about editorial matters at board meetings, was not invited. The question before the board was how, exactly, to unwind the channel, given that the cash spigot was shutting off. Several alternatives were talked about, including a possible conversion to a lower-cost streaming TV channel for cord-cutters. Someone even joked about giving the channel back to Al Gore, who had profited handsomely by selling the channel that became AJAM three years earlier. But the board members concluded that there was only one viable option: a complete shut-down. Anstey and O'Brian, who had been building this news organization bit by bit, were given a new assignment. Shut it down by April 30. Rank and file employees started to sense that something was amiss the next day, Tuesday the 12th, when the executives were M.I.A. during State of the Union coverage. The announcement came on Wednesday the 13th at an all-hands meeting in the afternoon. Days later, newsroom staffers say there's still a prevailing sense of whiplash from the sudden U-Turn. "Right up until the announcement, there had been investments in improving what we did on air," Mitchell said. "For example, we were about to get an upgraded weather graphic system in the meteorology department." When we joined the channel, "We all knew this was a risk," correspondent Jonathan Betz tweeted. There had been buzz about impending layoffs, but no one had been expecting a complete shut-down. O'Brian, for instance, had been vacationing in Africa until the Saturday before the board meeting. "I felt we were doing well," anchor Ali Velshi said in an email, "making inroads and gaining viewers at a pace that was to be expected. I didn't have any real sense that a shut-down was imminent but, as an economics reporter, it was clear that one had to overlook a lot of headwinds to justify keeping the channel going." Those headwinds included the falling price of oil and rising pressures from cable and satellite distributors. But there were also deeper-rooted problems, according to most of the two dozen current and former Al Jazeera employees who spoke to CNNMoney. A combination of ignorance and irrationality on the part of Al Jazeera higher-ups hindered the venture from the very beginning. The founding CEO, Ehab Al Shihabi, made bold proclamations about matching CNN's ratings within a year. Yet he didn't seem to know the basics about American television news. He sometimes misidentified competitors, once referring to CNN anchor Anderson Cooper as "Anderson Cooperman." In a staff meeting, he seemed stumped by the funding structure of PBS. Al Jazeera America "essentially didn't have a business plan," a former executive said. Cable channels normally rely on ads and per-subscriber fees, but "few if any cable providers were actually paying AJAM for carriage, and ad sales were virtually nonexistent." Mohamed Nanabhay, who ran Al Jazeera's English-language web site for years, said the odds were always stacked against the American venture. 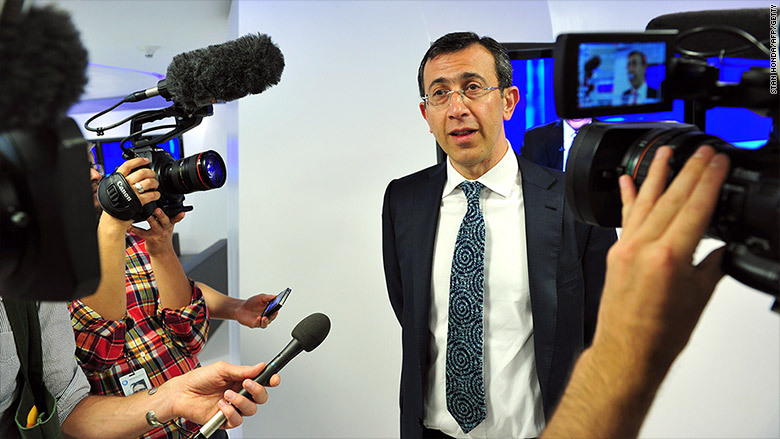 "From the start, it was a bet against all the things Al Jazeera was doing well," he said. Staffers now lament lost opportunities. "We could have been Vice," said a longtime anchor. "But we blended in instead of standing out." Viewers either couldn't find the channel or didn't bother to try. Some hours were lucky to have 10,000 people watching. On State of the Union night, AJAM averaged 64,000 viewers while CNN and Fox News had over 3 million each. Said a senior executive, glumly but realistically, "The journalism was there. The audience was not there." To understand the end of Al Jazeera America, you have to understand the beginning. AJAM was the most ambitious American TV news launch since Fox News in 1996. But Al Jazeera's bosses underestimated how much had changed between 1996 and 2013. They sought respect and influence by buying their way onto cable systems at a time when the market was saturated and the audience was moving online. Al Jazeera had a chance to "do something unique," said Evan Hill, who worked at AJAM as a features writer for a year. "For whatever reason, the network's leadership seemed more interested in an era of cable television news that had long passed." Doha's existing English-language channel, Al Jazeera English or AJE for short, was a worthy competitor to BBC World News and CNN International. It was widely acclaimed for its coverage of the Arab Spring. But even then-Secretary of State Hillary Clinton's endorsement of Al Jazeera — "it's real news," she said in March 2011 — wasn't enough to sway cable and satellite operators in the United States. The handful of distributors with the most power, like Comcast and DirecTV, declined to carry AJE. There were practical reasons (did customers really need another news channel?) and political reasons. Partly this was a vestige of the Iraq War when Bush administration officials demonized Al Jazeera as a supporter of America's enemies. Cable executives feared complaints from customers for carrying Al Jazeera. Some of them admitted to personal concerns about the content, as well. One executive said he wanted a promise that "no beheadings" would be broadcast. Al Jazeera English was no more likely to televise an execution than CNN or the BBC. Americans who actually tuned in liked what they saw. By 2012, AJE had a small but loyal American fan base thanks to a free live stream on AlJazeera.net. But Doha didn't — or couldn't — see around the corner to a streaming TV future. The bosses were hell-bent on traditional cable carriage. That's why they paid $500 million for Gore's Current TV, a low-rated channel available in about 40 million of the country's 100 million homes with cable. But Current was an awfully shaky foundation to build on. One big distributor, Time Warner Cable, dropped the channel right away, citing a change in ownership clause. Other distributors looked for ways out. And staffers at Current had the sense that Doha didn't know what it had just bought. Evan Cutler, who worked on Joy Behar's Current TV show, recalled how a group of Al Jazeera executives visited the channel's dilapidated studios at 33rd Street and 10th Avenue a few days after the deal was announced. "The feed of Current TV was on in the lobby, and one of them remarked about how crappy the monitor was, thinking it was just a bad feed," Cutler said. "No, that's how it always is," he told the visitor. Current was only available in standard definition — a huge drawback at a time when high definition had become the norm. Moreover, it had practically no audience, so Al Jazeera would be starting almost from scratch. The deal was done in January 2013. In order to appease distributors, Al Jazeera agreed to produce most of its programming within the U.S., instead of simulcasting the newscasts AJE was already producing. That triggered a hiring spree. The channel bragged of receiving 18,000 applications for 170 jobs. Journalists projected their hopes and aspirations onto Al Jazeera; the channel was thought to be a refuge from ratings stunts, tabloid programs and penny-pinching corporate overlords. Looking back, Mitchell said, "It was rewarding being in an environment where we could be very proud of what we put on air. I loved being able to tell people you wouldn't see a Kardashian story on our station." Mitchell was there for the launch on August 20, 2013 along with hundreds of others. O'Brian, the channel's president, was a 30-year veteran of ABC. David Doss, the head of news programming, was a veteran of ABC and CNN. 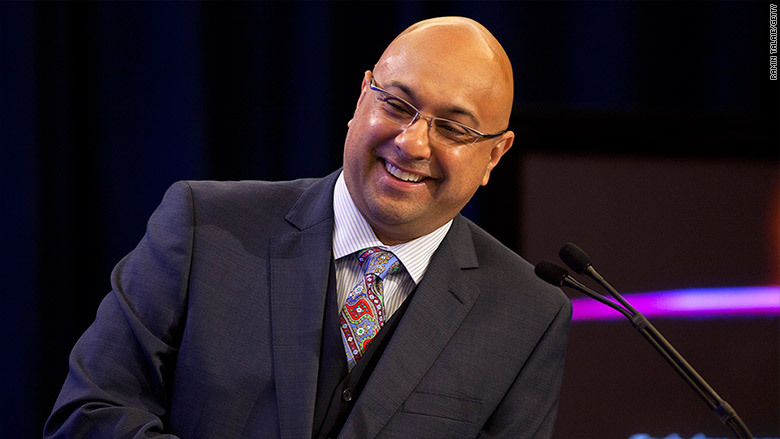 Velshi and another prominent anchor, Joie Chen, were also CNN vets. It was a proud day — but also a prophetic one. One of AJAM's distributors, AT&T U-verse, dropped the channel hours before launch, so Al Jazeera dragged the company into court. Meanwhile, Al Jazeera blocked U.S. access to the beloved AJE live stream and angry messages piled up from people accustomed to watching their AJE shows. But the network's bosses had little choice. If Al Jazeera wanted a spot on cable — if it wanted to be paid a monthly per-subscriber fee by cable providers, just like CNN and Fox — it couldn't give away an Internet stream. This was just one of the many stipulations in the carriage contracts. "We couldn't stream the show called 'The Stream,'' one staffer marveled. "We were launching in a situation where we couldn't win." Azmat Khan, who reported and produced for Chen's show "America Tonight" for a year and a half, called it a "stunning miscalculation." "Despite outcry from its own staff, Al Jazeera gave in to cable demands time and again," she wrote on Facebook. It wasn't just the locked-up live stream: "Every video published online had to be taken down within seven days," Khan wrote. "Amidst the rebirth of podcasts, most audio was a no-go; same with video animation." Some digital staffers even threatened to quit. But the cable operators had all the power. There were still other obstacles. It is now conventional wisdom among employees, according to those interviewed for this story, that Al Jazeera America should have changed its name. "Even before the launch, everyone in the newsroom said, change the name," one AJAM anchor said. "But they" — in Doha — "were too proud of it. They didn't listen to people who knew the U.S. market." Al Shihabi, the man appointed to run AJAM, told skeptics that his research supported the name and showed it was not a hindrance. But the network was clearly sensitive about the concerns. A pamphlet that circulated among staffers one month before launch focused on AJAM's "brand messaging." When it came to the new channel's voice, employees were urged to "make it American." "Communicate in a way that speaks to and of America," the pamphlet said. The foreign name and the onerous cable contracts were trouble enough. But some staffers, looking back, believe the channel could have overcome these hurdles if not for management failings. Most of their fingers pointed at Al Shihabi. Al Shihabi had previously shepherded the launches of Al Jazeera Balkans and Al Jazeera Turk. He brimmed with confidence at the time of AJAM's launch, expecting that the channel would immediately siphon viewers from competitors. One on-air personality said management's view was "if we build it, they will come." They didn't. Three: "We just kept bleeding money"
Doha funneled hundreds of millions of dollars into the channel, but the Nielsen numbers barely budged. While Al Shihabi publicly downplayed the importance of the ratings, he fretted behind the scenes and repeatedly sowed doubt about the accuracy of the data. He also sought other ways to justify the investment. For a while, his favorite word was "influence," according to several people who worked closely with him. Some employees were required to check a box each time they filed a story indicating whether or not it had "influence." Al Shihabi's former life as a management consultant was evident in his memos, checklists and PowerPoint presentations. His intent was to gauge AJAM's impact, which he could then highlight to the leadership in Doha. "He was always selling Doha a new story," one of his deputies said. If it wasn't "influence," it was awards or access to newsmakers. "Our impact is reflected not in numbers necessarily, but in the end result of a chain of events triggered by our reporting," Al Shihabi wrote in a February 2015 memo. The memo told AJAM's top producers to "track the impact of our reporting on society and submit a weekly report, every Tuesday, to Kate O'Brian." The directive left its recipients perplexed. Other memos reviewed by CNNMoney were borderline unintelligible. Al Shihabi — who did not respond to interview requests — operated with great autonomy in the United States, with no real number two, and relied heavily on outside consultants to validate his strategy. High-ranking employees described him as a highly unpopular figure. 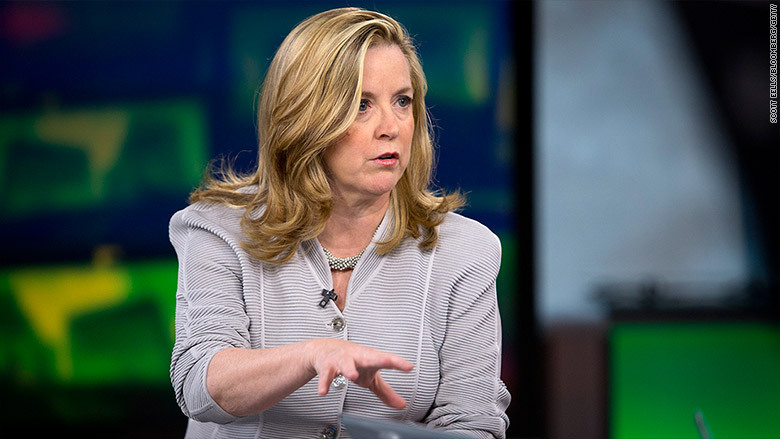 He presided over a "culture of fear," AJAM senior vice president Marcy McGinnis said after she resigned in May 2015. That's the month that everything came to a head. A fired employee had filed a lawsuit, alleging the channel was rife with anti-Semitism and sexism. And two other female senior executives had resigned right before McGinnis, including Dawn Bridges, the head of communications. "I came to AJAM because I believed in the stated mission to create a substantive news organization," she said. "I resigned when it because increasingly apparent that the powers that be were not committed to the same goals and ideals." Souag had to do something. He suddenly replaced Al Shihabi with Al Anstey, the head of AJE. "I am confident Al's leadership will transform the channel's ability to lead in the U.S.," Souag said. Newsroom employees were jubilant about Al Shihabi's ouster. "It's like the Arab Spring in here," one staffer said in an email to a friend. "Everyone's openly celebrating." Anstey steadied the ship pretty quickly, according to numerous staffers, while O'Brian remained in charge of the newsroom. The duo (who declined interview requests for this story) were a much better match. They were optimistic about the slowly rising ratings and they enjoyed strategizing about the channel's next five and even ten years. But it was too late for any of that. By the summer of 2015 "Doha began to understand that the media environment surrounding the network was changing," a senior source said. "Word was coming back that Doha was unhappy," a high-ranking executive in New York said. By August, the board of directors was reviewing all of the channel's major financial decisions with an eye toward cutting back. With oil prices falling, Qatar decided it needed to spend less on Al Jazeera's many networks around the world. Doha's scrutiny of AJAM came to a head in December. "They had to cut, and instead of making it across the board or anywhere else, they decided to chop AJAM," a Qatari source said. In some ways the timing is convenient. High-priced talent contracts are set to expire soon, since many of the anchors and executives signed three-year deals back in 2013. And some key distribution deals are also approaching end points. But there will still be substantial costs associated with winding down the channel. Some of the distributors are likely to demand penalty payments because the channel will be breaking its carriage contracts. On Wednesday the 13th, when word spread about an ominous all-hands meeting, Velshi was in Washington, D.C. for the previous evening's State of the Union coverage. From there, he had planned to take a flight down to Charleston, S.C. to cover the next GOP primary debate. But he hopped on a train back to New York City instead. Velshi's staff had stood up for him when Al Shihabi tried to fire the anchorman. He wanted to be there when the curtain fell. "I wasn't able to save their jobs, but I wanted to see them and tell them personally that I will see them through until the end and help them find their next thing," he said. In recent days there has been an outpouring of pride among AJAM staffers, pride in what they've done and what they attempted to do. Many feel it was a worthwhile experiment. O'Brian accepted a prestigious DuPont award earlier this week and called the timing "bittersweet." But along with pride there is also exasperation. If AJAM had been the first streaming news channel instead of the final cable news channel, would the outcome have been any different? "Going back three years, I don't think we yet saw that streaming was absolutely going to be the future," a senior source admitted. But Al Jazeera did make a side bet on streaming at the same time it launched AJAM. It set up AJ+, an online video startup in San Francisco that churns out news stories and distributes them via sites like Facebook. Its growth rates are impressive; AJ+ is having "influence," as Al Shihabi might say, for a fraction of the cost of AJAM. Doha has noticed, and it is keeping AJ+ alive while shutting down the cable channel. "The problem was that Al Jazeera's audiences were always digital. They were never coming to cable," a former staffer said. 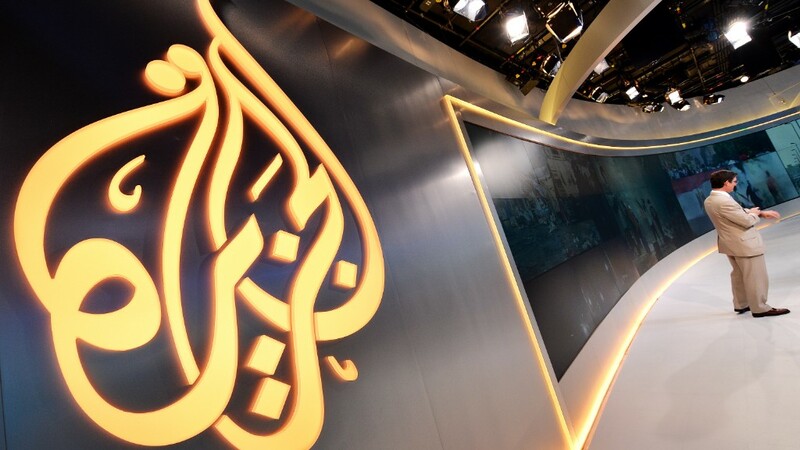 A senior Qatari source said that in retrospect Al Jazeera should have never launched AJAM. Instead of starting a new channel and seeking a per-subscriber fee for it, Doha should have paid cable operators to carry the existing Al Jazeera English channel. Fox News similarly paid for carriage in its early days. Some distributors might have balked, but Al Jazeera had enough money to make it work. "That's what they should have done with all those millions in 2013 — pay the operators," the source said. "It would have been infinitely cheaper, we'd still have all our online fans we had, and it would have avoided all these poor staffers losing their jobs." About 700 people are expected to be leaving in April. In the meantime, there's a handmade countdown clock on a whiteboard in the newsroom, measuring how many days the channel has left.